I have a weakness for gorgeous fabrics and pillows. If you do too, you are going to love this giveaway. The Elegant Touch on etsy is offering you a $50.00 credit to their shop. I own one of their pillows and I love it! Please visit Elegant Touch on etsy and then come back here leaving me a comment telling me which pillow you like. For an extra entry "like" their face book page. For a final entry visit them on twitter and follow. Make sure to leave a separate comment for each entry! I will choose a random winner and post on Friday! Such a hard choice but I think that Vervain colllection - Batik print in grey and off white is my fav! Love the pillows. Anything with blue is my pick. Thanks for the opportunity. Chiang Mai Dragon in Mocha... how could you go wrong with the dragons?!?!? :) Thanks! What a great selection....who knew? Now we know. I love the Robert Allen/Aqua Velvet! Celerie Kemble Bleecker print in Birch is my fav. Would match my couch well! I am lovin' the Windsor Smith pillows... Super chic!!! So hard to choose, but I am trying to add some color to my home, so I think I'd go with the 16 x 20" Vervain IKAT in ruby red and emerald. What a great offer! I love them all - would be a tough choice. I love all of them. My favorite would have to be the Kelly Wearstler for Lee Jofa in gold. I had to look through their shop 3 times before I could narrow down a favorite. I love the Thomas Paul by Duralee Abstract Floral in Chocolate, and bonus it's on sale too! Love the fabrics. Mandalay Tree fabric works for me. I'm in love with the Braemore's Fioretto in graphite!!! My fave are the black on ivory chevron & the velvet dots one! Such gorgeous pillows! One of my favorites is Nina Osbourne for Osbourne and Little in kew green pillow cover. Wow. Gorgeous fabrics! I love the Campione Jacobean design. Just beautiful! they are all stunning and I would be happy with any one of them...but especially for the ones with grey! 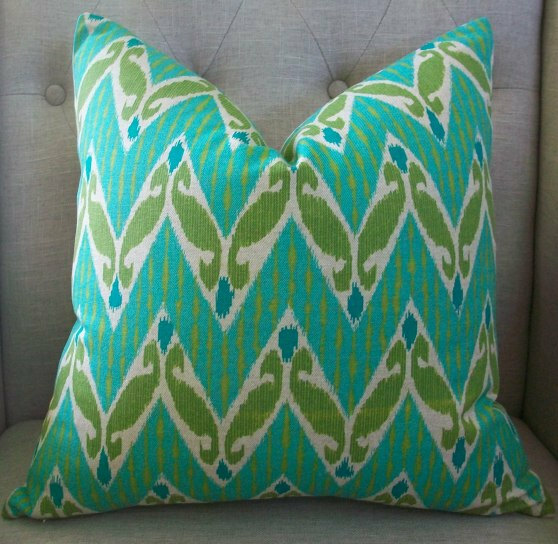 I like the Echo Ikat in Taupe & Aqua. Lots of pretty pillows! 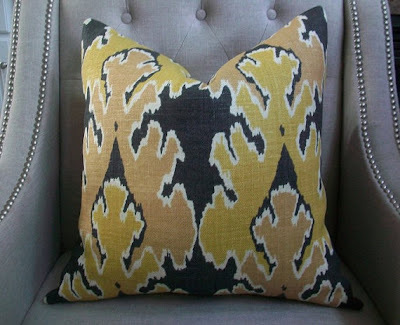 Love the Windsor Smith for Kravet - Riad print in Clove! So pretty! I could certainly find a place in my home to showcase any of these gorgeous pillows! Today I'm drawn to the Nina Campbell for Osbourne and Little - Kew Green pillow. On this cold day, it reminds me of spring. Thanks for the chance to win! You could decorate a whole house around those pillows! My favorite is the Nina Campbell kew green lumbar pillow, perfect for Spring! I love the Windsor Smith pillow - so so so pretty! Love the Robert Allen aqua velvet pillows. Would be perfect on my sofa! I love the David Hicks for Lee Jofa pillows. Celerie Kemble Bleecker print in Birch for me, please! Gorge! Either the creme and confetti or poetic in gray. Gorgeous. The geometric print in lime or any of the grey and white pillows would look great in my sunroom! I love the Trina Turk Pisces print.It reminds me of a beautiful Pucci scarf. Wow! Super give away! Love the Celerie Kimbrell! I really love them all, but if I had to choose, I'd pick Vervain collection in gray. it's sublime! I love Bengal Bazaar. Just beautiful. Oh SO many gorgeous choices! Wow the pillows are sooo beautiful!!! I really love Shumacher Mandalay tree in dcoument!! Pelagos pillow in Lime- Gorgeous! I LOVE the Peacock pillows!! So hard to choose, but Braemore Fioretto in Graphite (16x20 lumbar) is appealing to my current love for grey. WOW !! My fave was IKAT print in ruby red and emerald !!!! Beautiful pillows ! My favorite is the lumbar pillow cover in chocolate brown, aqua and taupe IKAT! This would look fab on our family room couch! Wow, my favorite pillow IS...the Bengal Bazaarfabric by Kelly Westler, Decorative Designer Lumbar pillow, 11 x 18! Fabulous! I love the gray and off white batik pillows. I think my favorite is the "Decorative Designer Lumbar pillow cover - 14X18 - Windsor Smith for Kravet - Pelagos print in clove". So many pretty ones, it's hard to decide! I think i like the red boarder around it the best! The Pagoda print in rust and brown. Love it. i love the campione jacobean. it's so fresh and fun! thanks for the offer! 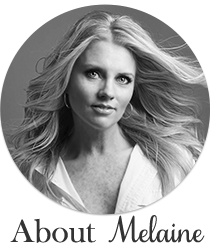 love your blog Melaine! Love the polka dot aqua pillow... striking! 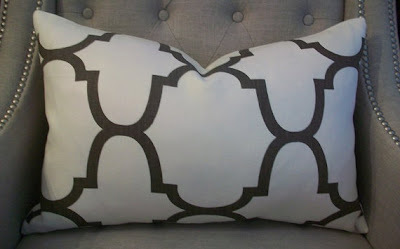 I like the Decorative Designer Pillow Cover - Windsor Smith for Kravet - 18X18 - Riad in Dune, but they are all beautiful! Love the bengal bazaar pillow in gold. So many beautiful fabrics it's hard to choose just one! Beautiful pillows! I'd pick the Windsor smith for kravet! Love the Kravet Idelle Multi! Oh my goodness!!! My eyes are so happy after looking at all of those beautiful pillows. I could close my eyes and point and be thrilled with any of them. If I had to choose I would say the gray and white Vervain. There are so many great fabrics to choose from but I love the colors and pattern in the Jax Print in Azure. Love these colors and fabrics. My favorite is the Celerie Kemble for Schumacher Hot Flowers in spark. I like the Windsor Smith for Kravet - 18X18 - Riad in Dune. Trina Turk - Pisces is so bright and colorful! Ohhhh! My favorite is the Kat print in aqua -- but it was a super hard choice!!! I liked them on Twitter. Gorgeous fabrics! I love anything ikat, but the chocolate brown ikat would go so well with the couch we already have. But I should probably start trying for some color. OR...go for a great guest room statement pillow. Now I know where to look when I'm ready to commit (smile). Beautiful pillows! My fav is Barbara Barry Poetical in grey! too many to choose from, i like the pelagos print and the riad, and the bon ric rac...i could go on and on! I super love the Studio bon ric rac pillows, beautiful! So hard to choose, but the fun animal print catches my eye, I would pick the Tanzania! I love the Braemore Fioretto in Graphite!! I like the "groundwork confetti in cream" pillow. Lots of beautiful blues also! Such a hard decision! !